These unoccupied, highly manoeuvrable underwater robots/ underwater drones are operated by a pilot at the water surface that can access hard-to-reach areas or be used in hazardous conditions to inspect and assess submerged structures. ROVs come in a range of sizes, from that of a small computer to a small truck. The larger ones are rather heavy and require additional equipment such as a crane or a davit to put them over the side of a ship and into the water. 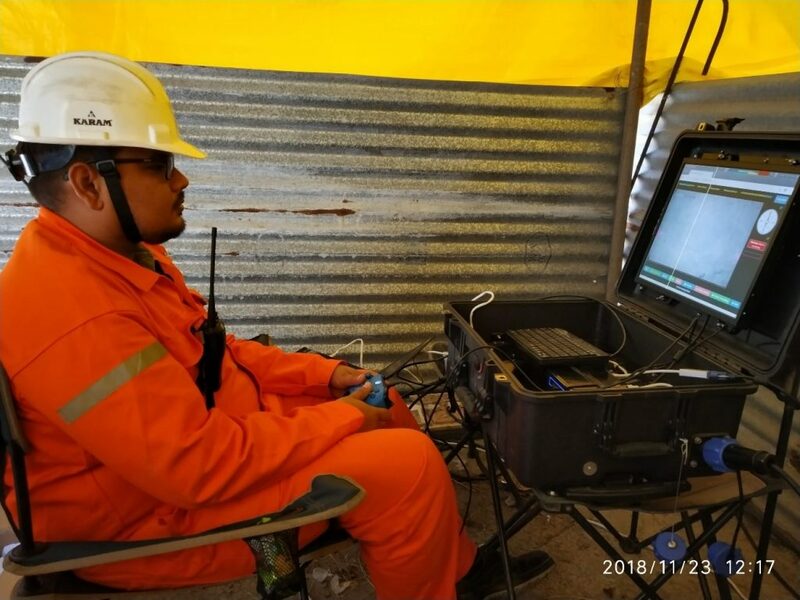 Although the primary purpose of developing ROV’s was for industrial purposes, such as internal and external inspections of underwater pipelines and the structural testing of offshore platforms, ROVs are now being used for many applications, some of them scientific. In such a short time since their implementation in the real world, ROV’s have already proven themselves to be extremely valuable in ocean exploration. So much so, they are also used for educational programs too! The old tried and tested diver inspections, or the relatively new technology of ROV’s? To understand this, we must first understand the characteristics of ROV’s and the divers that carry out these underwater inspections. Most ROVs can come fitted with still cameras, HD video systems and lights which transmit images and video in real time back to the “pilot” that controls the ROV on the surface vessel that is connected with cables that send electrical signals back and forth, using a joystick similar to airplane pilots. Sometimes, sonar imaging equipment is also fitted to help navigate and collect valuable information. Sometimes additional equipment, such as a manipulator or cutting arm, water samplers, and instruments that measure parameters like water clarity and temperature are fitted on the ROV to help with sample collection. This arm can be used for retrieving small objects, cutting lines, or attaching lifting hooks to larger objects. Divers are experienced and certified with the knowledge necessary to perform a thorough underwater inspection. They are familiar with marine-based structures as well as underwater construction techniques but divers cannot be used for SONAR imaging and hydrography as they can carry limited payloads, divers can handle underwater video inspections,. some diver inspection firms use underwater pipe trackers to allow the dive crew to follow a buried pipe. Different sectors require the divers to have different qualifications in order for them to be effective. A commercial diver for example, typically works for construction, engineering, shipping, and oil companies where they help explore, maintain oil platforms and assist in the construction of underwater structures used in oil and gas production. Whereas, offshore divers work on engineering projects mostly in freshwater such as rivers, lakes, surveying or building bridges and dams. Offshore divers are used for maintenance of oil and gas platforms situated in the sea. They use modern and sophisticated diving techniques and equipment for the same. Arguably the most dangerous of the type of sectors divers work in, HAZMAT divers deal with hazardous materials. These divers are at risk of contracting diseases that might put their lives in danger, which is why employers have strict safety measures in place like vaccinations against tetanus, hepatitis, and other diseases; specific places for decontaminating the diver and equipment after a dive; and contingency plans if the diver encounters a problem while underwater.